Jake Dillard is a 24-year- old know-it all. Not really, but that’s what his parents told him when he was younger so he just goes with it. He was born and raised in Muskogee, Oklahoma until the age of 19 when he moved to Florida to produce videos full time. He’s traveled all over the United States and several countries doing videos for YouTube celebrities, Travel Channel, and other companies. He finds humans extremely interesting and his attentiveness to psychology gives his work an edge to reach deeper into hearts and minds. Jake hopes his creations will emotionally stir perspectives in order to bring change, healing, peace, love, and joy throughout the world. Jake feels complacent if he isn’t challenged in some way. His hobbies include riding dirt bikes, reading, exploring nature, pushing his mind and body, and trying to understand everything. Born and raised in central Georgia, Keith landed in Northwest Florida in 1999 and has called this region home ever since. Keith has been married to his amazing wife Jennifer for 17 years and he has two beautiful daughters, Laura Kate (15) and Julianna (12). Keith’s favorite role is being a husband and father to his amazing family. He has spent 21 years in the Pharmaceutical and Biotechnology industry serving patients in various roles, from the corporate office, to training, and to sales and management. He currently serves cancer patients in the role of Senior Oncology Specialist and travels to Cancer centers throughout Florida, Alabama, and Georgia. Keith’s passion is to grow in his identity as a son of God, and help others do the same. As a result of this passion, Keith serves on the board of several non-profits, Junto Tribe (Men’s ministry), Waves (Youth and college age girls), Fellowship of Christian Athletes, Pier 49 (church plant serving the poor in Rio, Brazil) and Business Empowered (Marketplace ministry). Keith is also involved in prayer and youth ministry at his local church. In 2017, Keith was involved in the early stages of a youth worship movement called House Church. He and his wife serve as spiritual parents in this movement today. His passion for discipleship led him to start a Saturday morning Bible study for youth in his neighborhood called Firestarters. He has helped young believers discover their true identity as sons and daughters of God, and is equipping and training them in their God-given calling. In his free time Keith enjoys exercise, reading, and just spending time with his family. 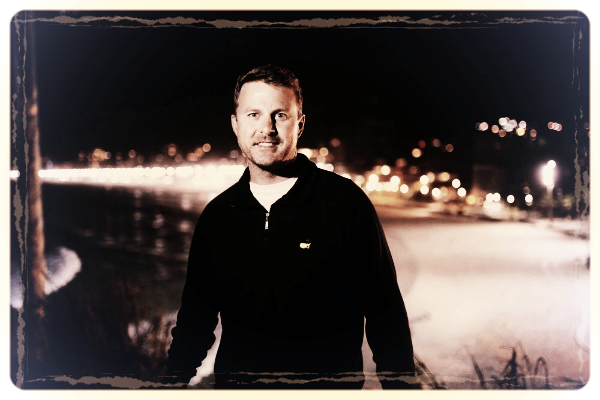 Residing in Virginia Beach since 1994, Mike is known as the ultimate family man, a father of 5 children between the ages of 23 and 9, he and his wife Heather are actively engaged in their local church and help to lead ministries in small group discipleship and leadership development. He is recognized for his professionalism, positive mental attitude and the ability to inspire and develop others. Mike has spent the last 16 years as a chief architect of an innovative human performance model that is designed to maximize resiliency, and readiness of Special Operation personnel. He is passionate about developing and challenging individuals to maximize their physical and spiritual development to effectively utilize their God given abilities. Mike has an insatiable desire to learn and grow and wants to help inspire Christian men across the globe to maintain a level of "readiness" both physically and spiritually which will prepare them to handle their daily battles. In his free time, Mike enjoys working out, reading and is always looking for an excuse to grab his backpack and head to the mountains for a long hike.